Ranger Boats has announced a new line of pontoon boats for 2017 called Reata by Ranger, which will consist of three Fish models and four Cruise models. The line pulls inspiration from Ranger’s acclaimed Reata series of fish-and-play designs. 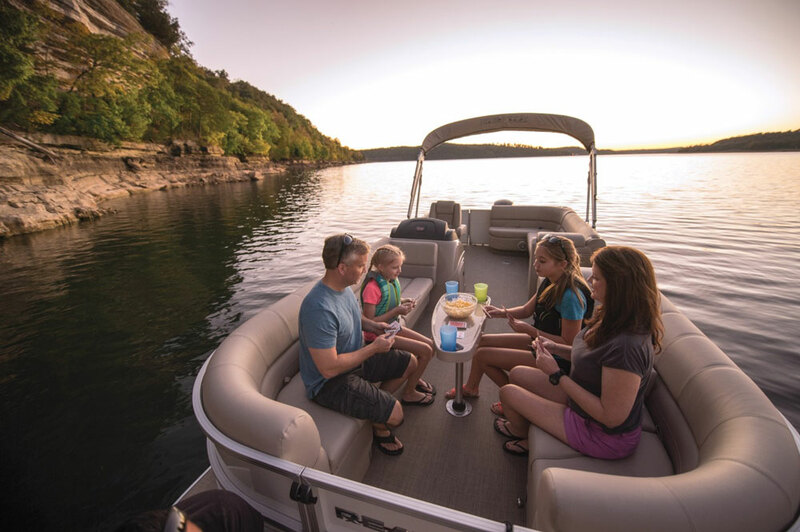 The Reata pontoon series will range in length from 20 to 25 feet, with each model crafted to fit the needs of both the avid angler and families looking to relax. The Fish models include the 200F, 220F and 223F; the four Cruise models the 200C, 220C, 223C and 243C. Both series include triple tube models with 26-inch diameter logs complete with lifting strakes. Amenities include powder-coated pontoon logs, premium vinyl flooring, fiberglass consoles, automotive-inspired dash designs and fully wrapped custom upholstery. All models also feature wheelchair-accessible interior swinging gates, phone management systems and thicker, extended side panels for added safety and comfort. The Fish models feature aerated live wells, Lowrance Hook 5 electronics, rod storage and are pre-wired for easy installation of trolling motors available from Minn Kota and Motorguide. A fishing station with tool and rod holders, lockable rod box with organizer and multiple live wells are also available, dependent upon model. The Cruise models sport full-width swim platforms, abundant storage, a stowable changing enclosure, LED lighting throughout, port and starboard bow lounges, a stowable table, 12-volt and USB outlets, a Kicker stereo with Bluetooth input, and built-in navigation lights and docking lights. Each Reata by Ranger model is available with the choice of a factory rigged Mercury, Evinrude or Yamaha outboard and comes in several rich color packages. For more information on the new line, visit rangerpontoons.com.